Multiple facial treatments in one natural cream! This phenomenal ONE all-in-one natural facial cream does multi-duty as a protective day cream, restorative night cream, primer and foundation. Made with the best of what nature provides, it firms, tones, lifts and tightens the collagen and elastin fibers in the skin. Literally food for the face, this nature-based formula includes vitamins, amino acids and botanicals that nourish and hydrate the skin to keep it looking youthful and healthy. 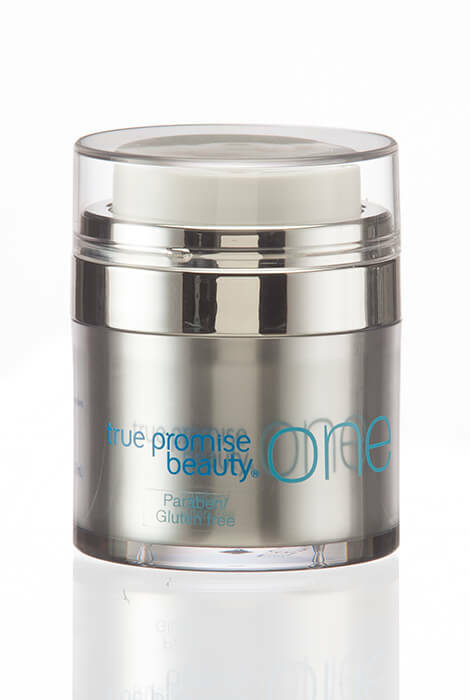 Instantly smoothes fine lines, minimizes pores and gives skin a satin finish. As a primer, ONE perfectly binds foundation, powder and other cosmetics to the skin's surface. Plus, use ONE over makeup to achieve a gorgeous matte finish without powder build-up. Wear overnight, either alone or over another product, to seal in the benefits of both products. 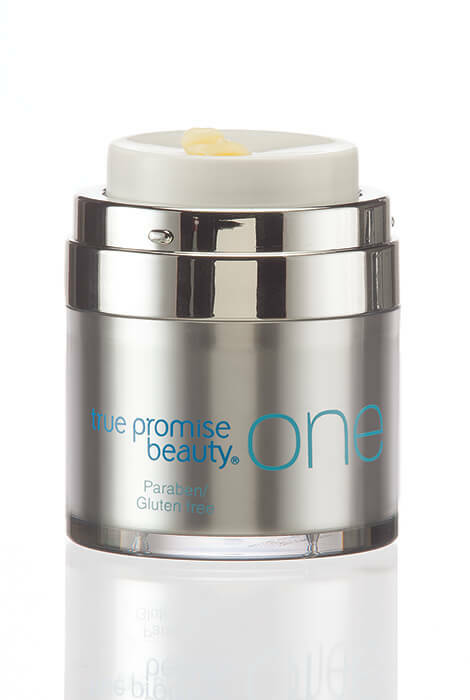 Natural formula is paraben-free and gluten-free. Gently massage onto face and neck am and pm. Excellent as a primer for foundations and powders. "One" may be used with sunscreens or moisturizers and is compatible with most other products. Recommended: if going outside, always use an SPF sunscreen. Purified water, Acetyl Hexapeptide-8, Sodium hyaluronate, Glyceryl stearate, Cetyl alcohol, PEG75 stearate; Ceteth-20; Steareth-20; Stearyl alcohol, Caprylic/Capric triglycerides; Almond oil; Propylene Glycol, Kigelia Africana, Quillaja Saponaria, Stearyl alcohol, Cyclotestrasiloxane and Cyclopentasiloxane; Marine native collagen, Gluconalactone, Sodium benzoate, DMAE (Dimethylethanolamine), Coenzyme Q10 (CoQ10), Glucosamine HCI; Methylsulfonylmethane; tetrahexyldecyl ascorbate; Tocopheryl acetate; Benzalkonium chloride, Triethanolamine.